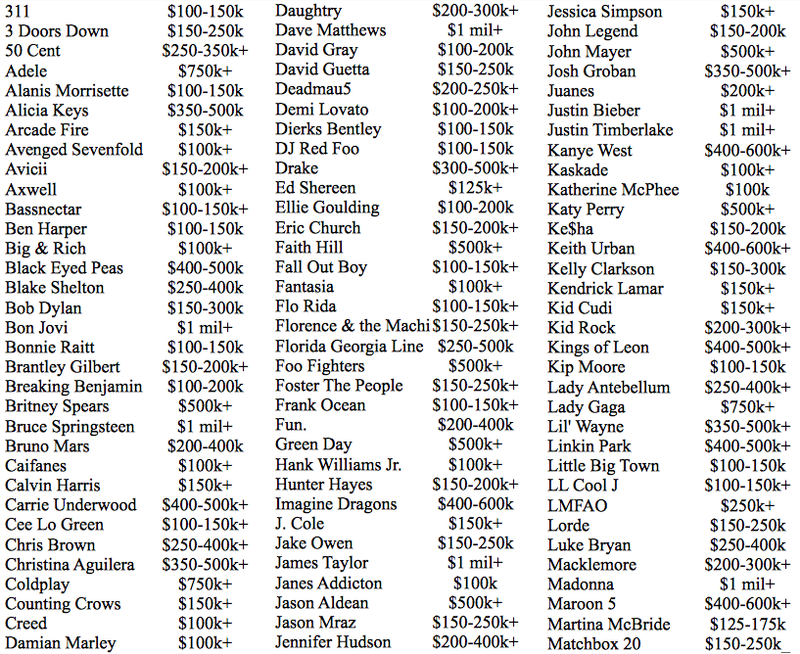 People Are Paying How Much To Book Linkin Park in 2014? That’s right ladies and gents, 150k+ for Calvin Harris, 150k+ for Bassnectar, 250k+ for deadmau5, 100k for Kaskade and if you have a mental illness and money to burn, you can drop a quarter million dollars to order up a fresh heaping pile of LMFAO. Priceonomics got some info from Degy Entertainment, and apparently, heads are still expensive. More importantly, I want to point out that there are very few electronic artists in the top category. Let this be a reminder to anyone who thinks EDM is killing Pop. Pop thinks you’re cute.